Building a new house from the ground up is a big part of the American dream. Hardly anywhere in the United States is that dream more easily within reach than here in northern Indiana and southwestern Michigan. Of course, when you are having a new house built, there are so many details to take into consideration. You have to decide how many rooms you need. You have to choose furniture and appliances. You have to decide what to do with your yard and if there will be a deck or swimming pool. All of things, while they take time and attention, are also a lot of fun to think about, since it is your very own house, and you can design it however you like. Even children can appreciate the thrill of getting to choose how their rooms will be painted. If your kids are old enough to talk, they have probably expressed opinions about what color they want their rooms in the new house will be. When it’s your own house, anything is possible. You can paint the rooms however you want to. If you have twin daughters who share a room, and one wants to paint her half of the room ballet pink, and the other one wants to paint her half lemon yellow, all you have to do is come to Michiana Paint and get those colors of paint and then go home and get to work painting the room with your kids. Michiana Paint has all the paints and painting supplies you need for the interior and exterior of your new home. Whether you are painting the outside of the house, window frames, the garage door, or an accent wall in the living room, you will find it in the color of your choice at Michiana Paint. 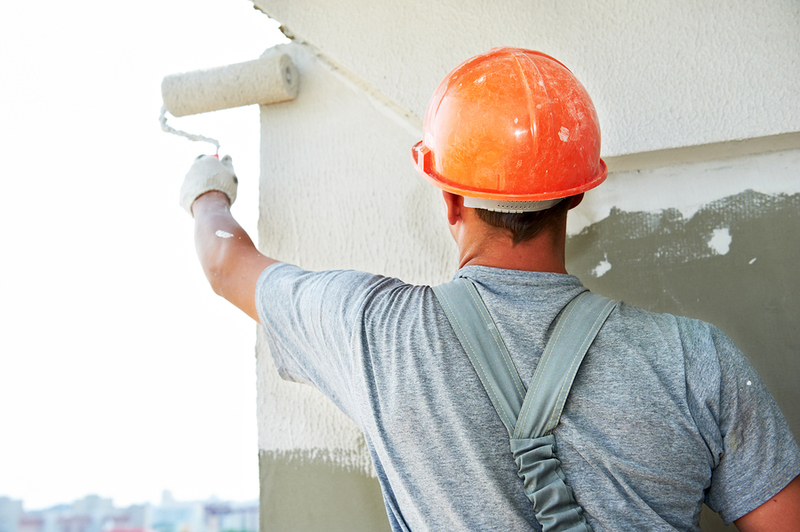 Paint and paint supplies are not the only things we can provide for your new home. In fact, we can help you put a lot of the finishing touches on your newly constructed house. We can hang wall coverings, so that if you want to give your living room a sense of old-fashioned, cozy charm, we have just the wallpaper for that. If you want it to look more like some place where Jay Gatsby would host a party, we have the wall coverings and decorative faux finishes for that look, as well. We also offer wood staining and treatment so that the deck you have just installed behind your brand new house will look like new for many years to come. We are equally happy to provide supplies to do-it-yourself enthusiasts and to do a professional job of wood treatment and interior and exterior painting. If you hire us to do the painting, we will make sure that we are in full agreement with you about how you want the finished product to look and how much it will cost before we even pick up a paintbrush. We are a locally owned business, and we offer our services for the best prices in town.